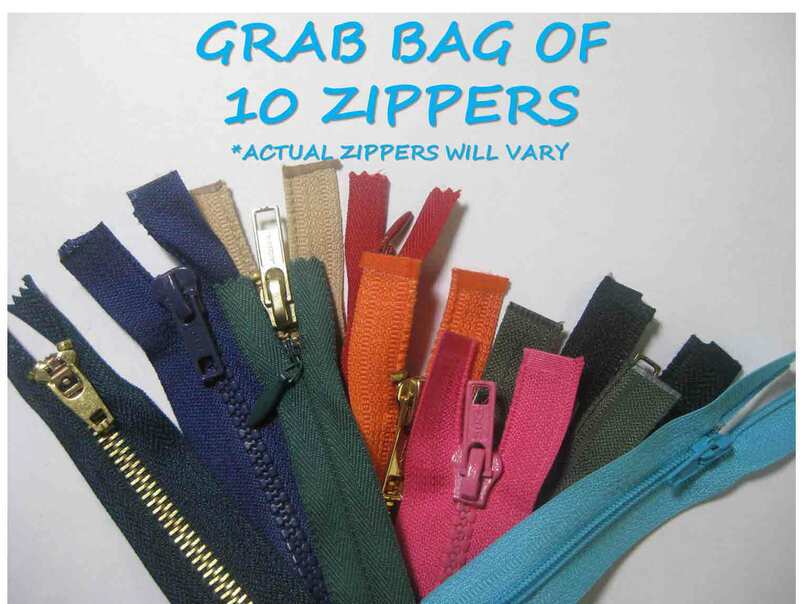 This is a grab bag of 10 assorted zippers, all in new condition. They can be any color, length, or material, and can be open-ended or closed-end. Grab a deal and draw inspiration from your surprise bag of 10 zippers! Also great for teaching and practicing sewing with zippers! If you're looking to pick up some zippers on the cheap, you've come to the right place! This it the best zipper bargain around.